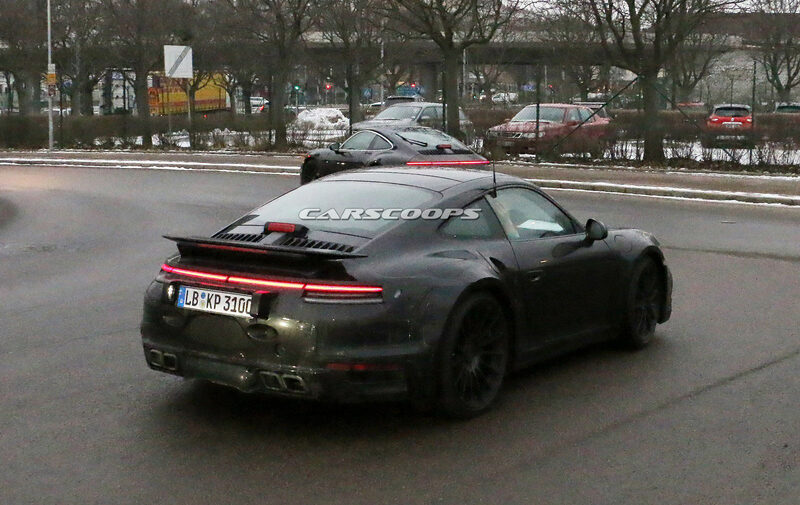 The 2019 Porsche 911 has been spied on numerous occasions and now we’re getting a closer look at the all-new Turbo variant. Looking instantly recognizable, the redesigned sports car has a familiar front bumper with dual LED lighting strips. The déjà vu design continues further back as the car adopts classic Turbo styling cues including wider fenders with sizable air intakes. 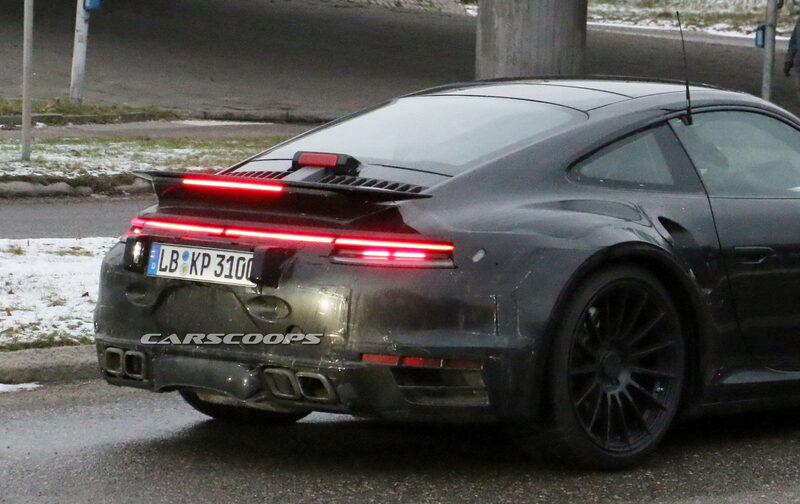 Bigger changes occur out back as the model has a new rear fascia with a full-width brake light strip that echoes the Cayenne and Panamera. 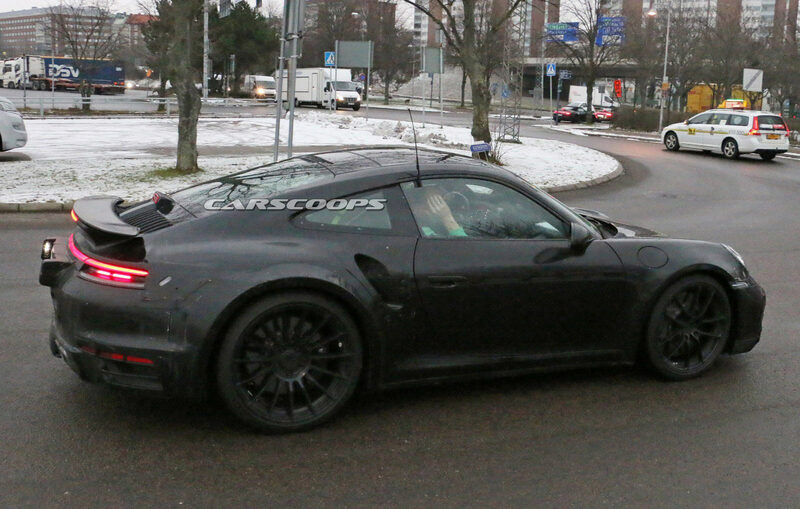 We can also see a prominent rear wing and a modified exhaust system which appears more squared-off than its predecessor. Despite the evolutionary exterior styling, the cabin will see significant changes as the car will have a high-tech instrument cluster with an analogue tachometer that is flanked by two digital displays. Drivers will also find a new steering wheel, a wider infotainment system, and a revised center stack with updated switchgear. 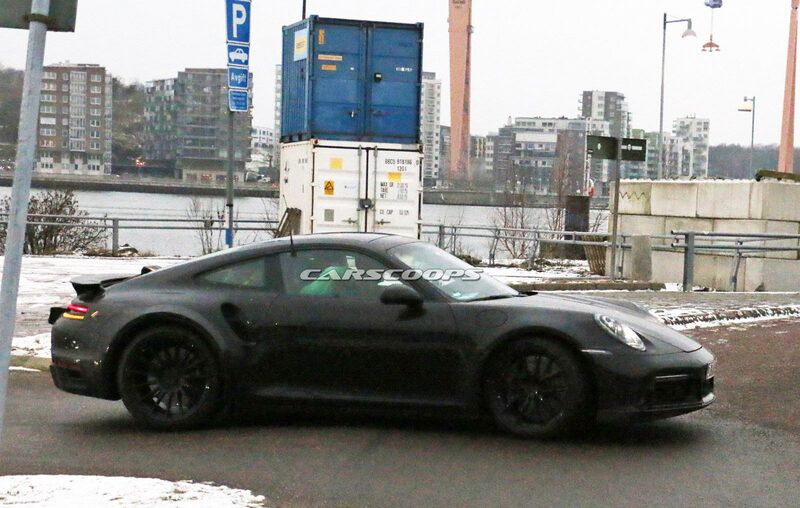 Porsche has been tight-lipped about performance specifications but the model is expected to use a twin-turbo six-cylinder engine that develops around 600 hp (447 kW). 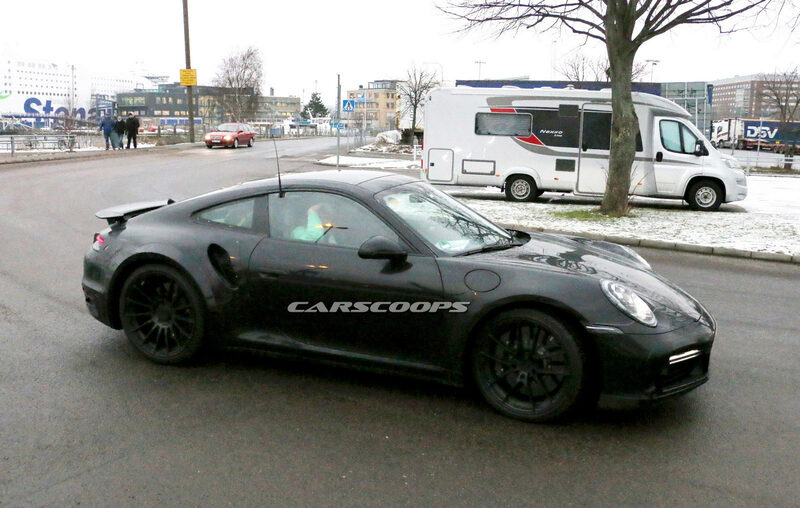 If that number pans out, it would be a significant jump from the current model which develops 540 hp (402 kW).